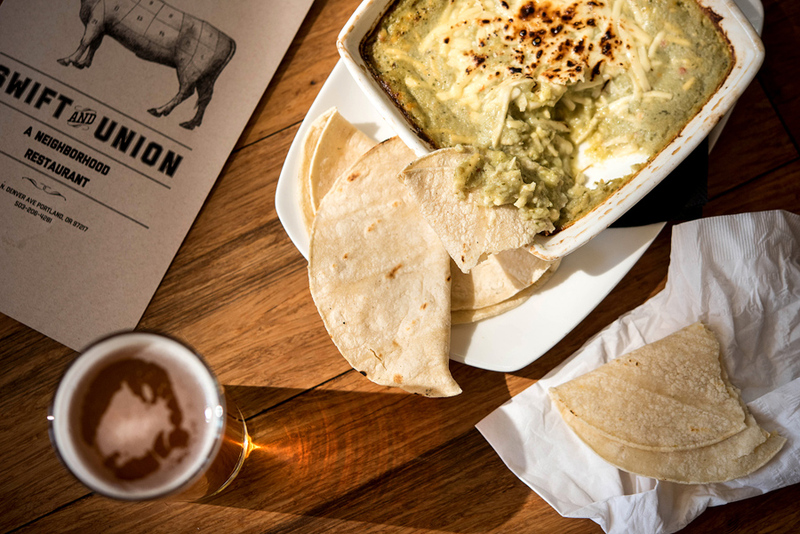 Tabor Tavern and Swift and Union are located on opposite sides of the Portland map but they both provide the surrounding neighborhoods a perfect place to grab some delicious food and a cold one. Swift and Union calls the Kenton area home. You know- it’s where Paul, the giant lumberjack statue stands. 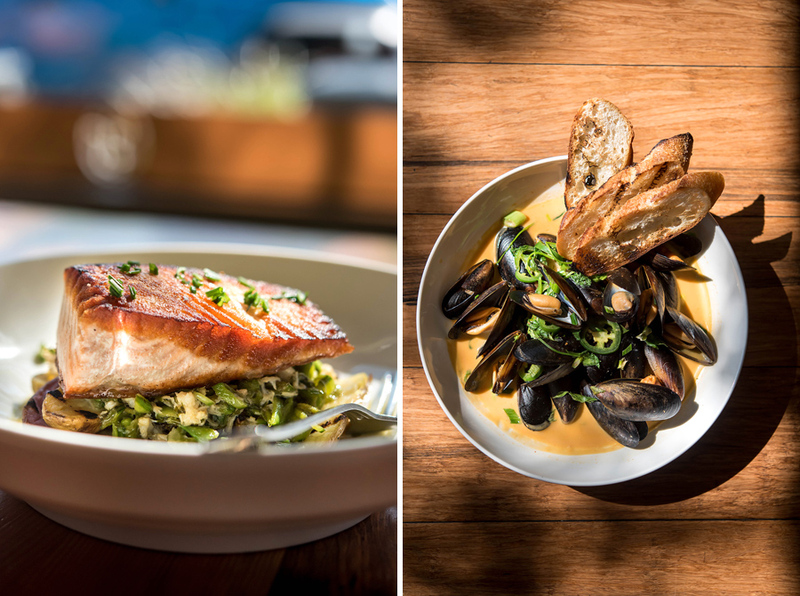 It’s a cute neighborhood with some great places to eat (Swift and Union is the top choice!) and some wonderful little shops like Mantel. If you haven’t visited the Kenton Neighborhood in a little while I suggest you take a walk down N. Denver St. After a little bit of shopping stop in and say hello to Zig and Kristen, owners and fellow Kentonites themselves. 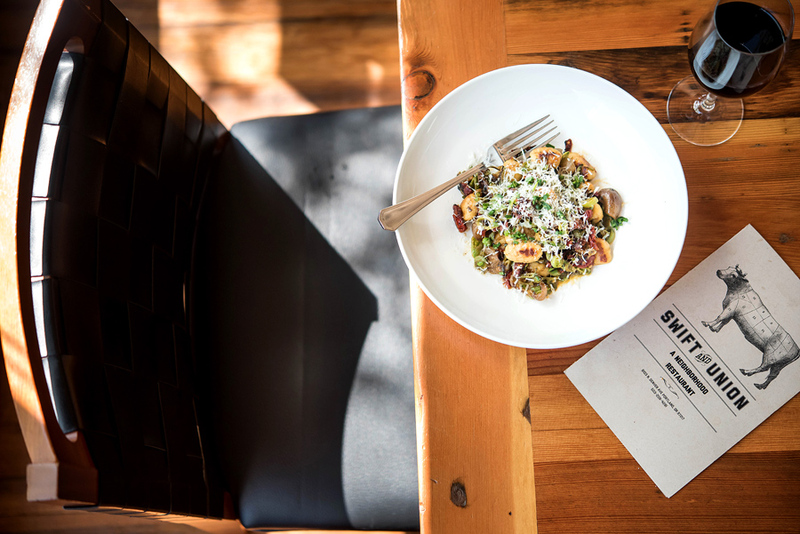 You’ll find something tasty on the seasonal menu- like a crisp radicchio salad or a warm plate of gnocchi.